Sky Sports have announced the first batch of televised fixtures for the new Premier League season, and we are now buzzing for the football to get underway! The four games to be shown across the opening weekend have got our mouths watering already, with unlikely champions Leicester City kicking us off against newly-promoted Hull City. Jose Mourinho’s first match in charge of Manchester United at Bournemouth and the huge clash between Arsenal and Liverpool promises to be a blockbuster Super Sunday. Antonio Conte’s debut as Chelsea boss is the maiden Monday Night Football of the campaign, against Slaven Bilic’s West Ham United in what should be a cracking London derby. ‘Friday Night Football’ – a new fixture slot for the 2016-17 season – will be introduced with Mourinho’s Old Trafford bow as United take on Southampton on August 19, while Sky viewers will get their first sight of Pep Guardiola’s Manchester City the following day at Stoke City. 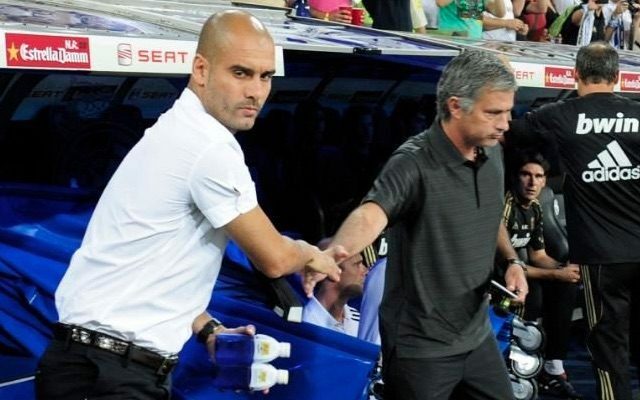 And then the two marquee managers will resume their rivalry from Spain in a hotly-anticipated Manchester derby on September 10, after the first international break. United v Leicester at lunchtime on September 24, Tottenham Hotspur v Liverpool on August 27 and Chelsea v Liverpool on September 16 are the other standout fixtures for the opening couple of months. Below is the full list of Sky Sports fixtures for August and September. All 20 Premier League clubs feature, Mourinho’s United most regularly with four televised matches.